Before starting my degree at City, I was at college studying Psychology and my other A-levels. I knew I wanted to study in London as it is such a great opportunity, and there is so much to do here. When I visited City at an Open Day I really enjoyed the campus and the sessions I attended, and just knew it was the right fit for me. All students and staff were so friendly and it is such a great location to study. I really enjoy just being on campus, either for lectures or just to study. There a great atmosphere and it makes you want to work hard. 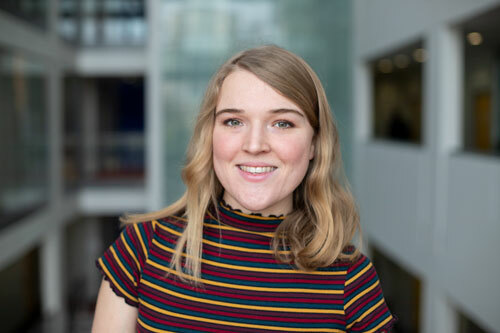 I am a Marketing Student Ambassador for the University and get to do a range of different things. I also like to do as much as I can around London while I am still studying here and making the most of the city. I am going to take the summer off to go around Europe as a holiday before I start work. I would like to go into the business side of psychology and marketing. Base your decision on what is right for you personally and what you would enjoy studying. Choose a university that you can see yourself having the best time.